I'm now an "ABC" student pilot! 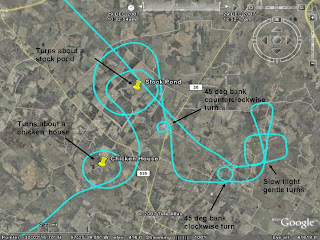 ABC student pilot stands for "all but checkride". 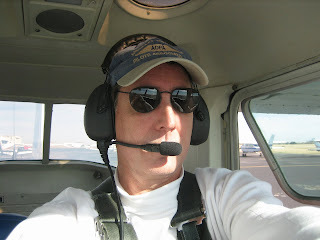 I have all of my experience hours completed and I'm working on the details for my FAA flight exam. Shown here is your's truly getting ready to depart from Austin-Bergstrom for a flight to my favorite practice airport in Lockhart, TX. This particular flight was focused on short-field landings and really nailing my -0/+200 foot landing tolerance for the checkride. Think it's easy to pick a spot on the runway and hit it within 200 feet? Consider you are doing about 80 feet per second in the roundout and flare so that 200 foot limit is coming at you fast! I nailed about 7 out of 10 before the windgusts started messing with me. So that's it for today. NEXT POST I'll be a Private Pilot...."Lord willin' and the creek dont rise".